Pharmaceutical Intermediates are made up of the chemical compounds that are the main constituent for producing the pharmaceutical components. These intermediates are the result of the process of production or synthesis of pharmaceutical elements. 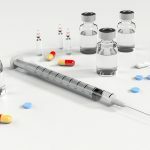 There has been a constant surge in the pharmaceutical intermediate market as the various sickness including the infectious and chronic diseases are on the rise. This wave of infections have already pushed the production of these intermediates beyond expectation; however, more output is in the forecast for future need. Medical research and analysis activities carried out by the research and development department of major pharmaceutical agencies also acknowledge and support the production of pharmaceutical intermediate and the growing market of these medicines. Companies are more inclined towards expanding the therapeutic unit, which in turn results in the broader output of the pharmaceutical intermediate. North-America is forecasted to generate the highest in pharmaceutical intermediates production when it comes to revenue generation mainly because the territory comes with the state of the are health care structure. Europe is not far behind including the many developed countries who are actively pursuing more production and expansion plans as the demand is increasing for these pharmaceutical intermediates. Pharmaceutical intermediates come in a batch or group that is separate from another and have different attributes such as the product classification, the application, use of distribution channel and the type of classification according to the treatment. The two segments of the pharmaceutical markets for the intermediates are the GMP and non-GMP, and the section consists of antibiotics, vitamins, antipyretic analgesics, and others. Based on the distribution method, the segments are either for direct sales or go to the end market through distributors channel who market and sell the product to the consumer end and ensure the shelf life of the pharmaceutical is kept sufficient to meet the demand of the market. Many factors promote the growth of this segment. These include the patent expiry that in turn support the growth of the intermediate segment. The constant investment in the R&D activities and the demand for new therapies are also contributing towards more production and facilitation of intermediate pharmaceutical market. Many regions now have strict policies that oversee the production and regulation of these intermediates and some countries that cannot produce these intermediates due to technical and quality restriction, outsource the production to other regions to meet their local demand for the pharmaceutical intermediates. In this digital era, search engines such as Google hold the key to success in many business ventures. If you regularly use services such as Gmail, Google docs, calendar, spreadsheets or even blogging, there’s a good chance that you have an enormous amount of data on your servers. Losing such essential data can be detrimental to your business. However, there’s light at the end of the tunnel. Here are a few steps on How to Backup Google Apps. The Google platform is a fantastic operating system to have on your phone or any electronic device. However, just like other operating systems, things can go terribly wrong in case of a system failure. Unforeseen events such as hard drive crash, viruses or file corruption can erase all your essential data without warning. Since most of the storage happens in the data drive, the repetitive reading and writing of data can deplete your drive over time. 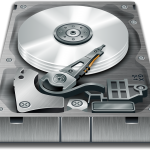 It is for this reason that backups are highly recommended to retrieve data when disaster strikes. Though many options exist, we are yet to encounter a universal backup that suits all Google apps. What does exist is several strategic methods that users can rely on to keep their valuables intact. When dealing with contacts and calendar apps, a Google account is your best bet. However, other applications will require users to perform the exercise every once in a while manually. Gmail is one of the most popular backup solutions available to Android users. Any individual with a Gmail account can take advantage of the setup to secure essential data. This setup works well when you combine it with other useful third-party solutions. There are numerous desktop email client setups that guarantee the optimum safety of your essentials. Google calendar backup is a neat feature that keeps all your appointments secure via Gmail making sure you don’t miss any upcoming event. Remember those photos you took while on holiday in the summer? Well, you don’t want to lose those. Google partners with Picasa web albums to provide a secure online backup for your memorable photos. Another neat feature that is gaining a lot of fans worldwide is the cloud-based backup. It is a handy tool for any business that heavily relies on access to information. Opening an account with a cloud service provider is relatively easy, though some enterprises do charge annual fees. You can even opt to open multiple cloud accounts. This feature will then secure all your apps from Google drive, contacts, calendar and docs. Both aluminium and titanium wheelchairs are quite popular and have their own set of loyal fans. Despite being equally loved, there are quite a few noticeable differences between the two. In this article, we’ll try to learn what these differences are. Compared to aluminium, titanium is a stronger material. However, there are a few drawbacks to that strength. Due to the robustness of the material, it takes expert workmanship and expensive machinery to make valuable items, such as a wheelchair, out of titanium. This leads to increased product costs and also higher repair costs. On the positive side, the strength lends the material scratch and scrape protection, helping it look new for years together. Aluminium, if built right, could be on par with titanium on the rigidity front. A non-round extension is quite popular since it lends aluminium significant strength sans cost increase. The softness of aluminium makes it easier to repair. And even if the aluminium is likelier to scrape and scratch, it can be easily concealed with paint. Due to increased strength, titanium is heftier than aluminium. However, titanium’s weight can be easily brought down if manufacturers choose to use very little of it. Certainly, it is imperative to note that the chair’s structure still has a major role to play in the weight of the chair. Well-built box-frame aluminium wheel chairs could weigh less compared to titanium wheelchairs. People who have the tendency to accessorize their wheelchairs and add additional weight to them would probably not be able to decipher the weight difference between the different material chairs. Fit and structure would always be the most crucial factors that determine ride quality. One cannot truly explain the satisfaction derived from a chair that’s built to exact specifications, irrespective of the material used. Titanium is flexible inherently and can take in vibrations with much more ease compared to aluminium wheel chairs. That said, an aluminium wheelchair that performs similarly can also be easily located. It’s not all about price. A titanium wheelchair is ideal for people who require lifelong appeal and durability. 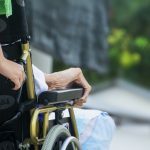 An aluminium wheelchair is the ideal package for people who would like their wheelchair-related modifications and repairs to not be much of a hassle. At the end of the day, a good chair or ride is not about expensive materials. You should also look into customer service and engineering quality. A company known for serving its customers well would never come up with a sub-par wheelchair, irrespective of the material it uses. Always, look for the wheelchair you truly need and try it out before purchase.